ELC 014: Are you getting any better? You are here: Home / Podcasts / ELC 014: Are you getting any better? The eLearning industry isn’t improving as quickly as many practitioners would like. One way to move things forward is to explore how effective we are at designing learning experiences. With an honest look at our designs, we then know what direction to take to improve. This isn’t always easy to do in the world of eLearning. But Julie Dirksen has some solutions. 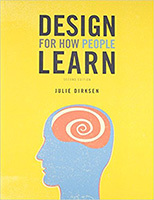 Julie Dirksen is the author of Design For How People Learn. 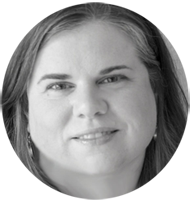 She’s an experienced independent consultant and instructional designer with more than 15 years of experience creating highly interactive e-learning experiences. She also has a background in user experience design, game-based learning and behavior change. TRANSCRIPT: Download the ELC 014 Podcast Transcript. How do you close the feedback loop? Ideas? Comment below. This was an interesting podcast, thanks. I’ve read Julie’s book, so was familiar with a good deal of this, but it’s always a good reminder. I also liked the reference to Steve Krug’s book, the mentions to user experience testing (the guerilla testing stuff was new information to me), and enjoyed recognizing Julie’s points about right v. better from her learning resolutions post on OpenSesame. As always, thanks. Have great days, you two. Thanks, Jeff. It was a fun conversations to have. Connie and Julie, thanks for this great podcast. It’s lighting the fire under me–again–to get real feedback and test usability. The tips on how to do this remotely are helpful, too. Really enjoyed this podcast. Thanks for making this happen Connie and Julie. One thought about user testing – it may be best to do this early on in the design process while using paper prototypes. This provides designers with the feedback loop necessary at a stage of the design when the content is still malleable. Yes I agree about the paper prototypes and I am sure Julie does too. Thanks for the Design School link.